The stability of carboxymethylcellulose sodium salt is related to DS (degree of substitution) and the solution with higher DS is more stable. However, the viscosity of carboxymethylcellulose sodium salt solution will decrease in storage and the lowering speed changes with products, so it cannot be stored for a long time after carboxymethylcellulose sodium salt is prepared into solution. Degree of substitution is an important chemical index of carboxymethylcellulose sodium salt. carboxymethylcellulose sodium salt is a cellulose derivative and still keep the polymer structure of cellulose, linked by plenty of anhydrous glucose groups. Furthermore, every anhydrous glucose group has three hydroxyl groups and can be replaced by carboxymethyl. It must be noted that the degree of substitution is an average number. With the increase of DS, the transparency and stability of the solution will improve accordingly, and in this way the solubility changes with degree of substitution as well. 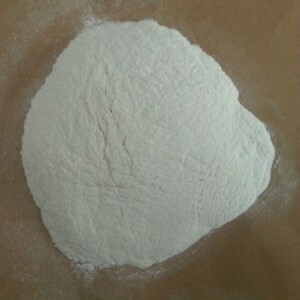 Purity refers to the percentage of pure carboxymethylcellulose sodium salt in oven dry products. During the production process, it may contain the impurity such as sodium chloride and sodium carbonate because of incomplete reaction and side reaction. Whether purification is needed or not depends on the customer demands and the general CMC food grade purity is 99.5% while the technical grade is produced according to customer demands. For example, if it is used in synthetic detergent, since impurity doesn’t affect its quality, there is no need for purification and the purity is usually 55-75%. If it is used in toothpaste, since there is high requirement for the content of sodium chloride, the purity needs to be over 96%. Viscosity (of the aqueous solution) is the most important physical and chemical indicator of carboxymethylcellulose sodium salt, since it is mostly prepared as colloidal solution for use. It’s worth noting that carboxymethylcellulose sodium salt aqueous solution belongs to non-Newtonian fluids, expressed in two aspects: pseudo plasticity and thixotropy. Since carboxymethyl is not averagely substituted into the molecular chain of cellulose, in the measurement of viscosity, even for the same solution, the viscosity with more shearing stress, leading to high flow rate will be lower than that with less shearing stress and then low flow rate. Then the result is the pseudo plasticity. Thixotropy phenomenon happens in this way. When carboxymethylcellulose sodium solution is let sit for some time, the viscosity of the solution with low thixotropy will slightly increase while that with high thixotropy will even congeal into gel state. Then, heavily stirring can destroy the structure of gel, and with appropriate stirring again, it can return to the original viscosity. There are many factors influencing the viscosity, such as pH value, temperature and storage period, of which storage period of the solution is the leading factor. Consequently, only with unified viscosity measurement methods, can unified results be obtained.